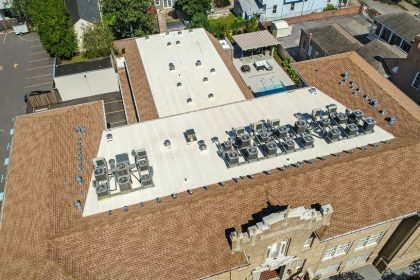 Dealing with historic buildings in New Orleans takes a lot of local expertise in addition to roofing experience. 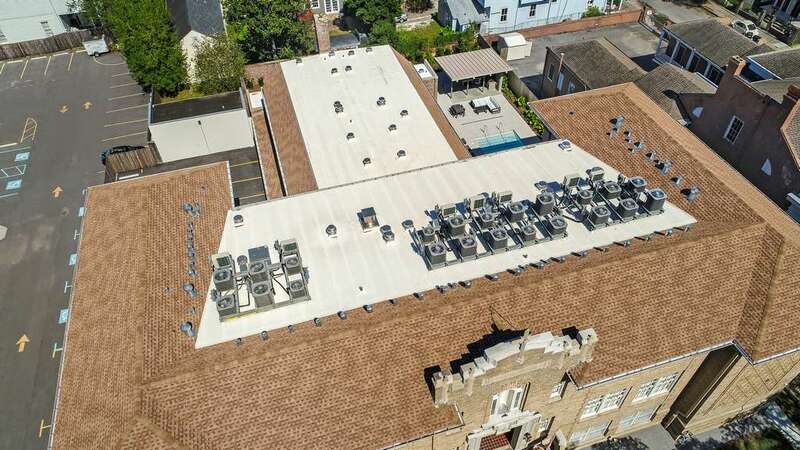 Over the years, we’ve been proud to complete a number of historic roof renovations in metro New Orleans including quite a few apartment/condo conversion projects. This particular project though was the first time we’ve helped convert a former school building into multi-family housing. Like many projects in central New Orleans, site access was a problem. The building is located directly next to a church as has limited parking space available for equipment. In fact, parking is at such a premium the developer utilized part of the building itself to create covered parking! The school had been closed for years. And given that the original roof was designed for a school, it had to be completely redone for it’s next phase as a multi-unit building. The new roof is Energy Star rated and should give the building owners & tenants 20+ years of energy efficient protection.